President of Russia Approved Amendments to the Law on the “Far Eastern hectare”. 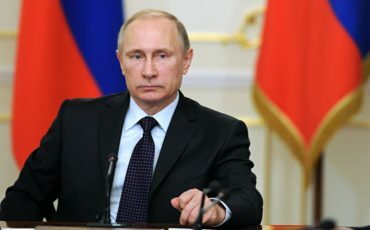 The President of Russia Vladimir Putin has approved the extension of the territories for the “Far Eastern hectare” program. Document signed by Vladimir Putin approving the amendments to the law on the “Far Eastern hectare” was published on the website of the Kremlin. “Far Eastern hectare program is very popular. The number of applications come close to 100.000. The expansion of areas for hectares will attract new residents to the far East”, Minister of the Russian Federation for Far East Development Alexander Galushka said. According to the Minister, the mechanism for the allocation of free Far Eastern land constantly improved. Parliamentarians, regional authorities, community and the citizens themselves make their proposals. “22 clarifications have been made and 65 amendments were approved at the end of 2016. We proceed from the principle — no life for law, but law for life. “Far Eastern hectare” is a flexible tool created to give all interested citizens land simply and quickly,” Alexander Galushka said. “From the beginning we have been working on those areas on which we would like to extend the programme. If we look now at the map of the Far East, we will see that up to 75 percent of the Far Eastern territories are not available. In certain regions, for example in Chukotka Autonomous Okrug, this area reaches 88 percent. Most of the land in such enclosed areas is a hunting land. Amendments to the law are aimed to aside this “grey” areas and give the citizens a wider choice of land for the realization of their rights for “Far Eastern hectare”, said the state secretary – Deputy Minister for the Development of the Russian Far East Pavel Volkov. Besides extending of the territories to provide “far hectare” the head of state approved enshrined in the law decision on the adjustment of the sites boundaries, providing passage to the “Far Eastern hectare”. In addition, Multifunctional center of public and municipal services (MFC) will accept applications from citizens throughout the country. It is assumed improving of «НаДальнийВосток.РФ» (InFarEast.RF) Federal information systems; the law specifies the rules on the introduction of information in the system and its use. “We have solved the most pressing problems, but we don’t know what kind of problem will arise in the future, of course, it is difficult to foresee. “Far Eastern hectare programme” — innovative, unprecedented. Many aspects of its implementation have not been used previously. Only on the practice, we will be able to see whether there will be more amendments, when people begin to declare result of hectare reclamation or start the transition from free use to registration of ownership in five years “, Pavel Volkov said. It should be reminded that since 1 February any citizen of Russia can obtain hectare in the Far East. This opportunity is already used by more than 98 thousand people; they filed applications for a five-year free use of land. More than 25 thousands of sites already in use.